Alexandre Thienpont has succeeded in creating a terrific wine again in 2015. Fabulously elegant, it is almost Burgundian in style and finesse. This is pure, focused and graceful: a wonderful success. Real acidity provides freshness and a lovely texture. It is really polished. An underlying core of some depth, but the wine is very light in its feet. Very clean and precise, it is soft, light and beautifully spicy. There is so much complexity on the palate, yet the flavours are so refined. The wine has real length, but everything is understated and elegant. 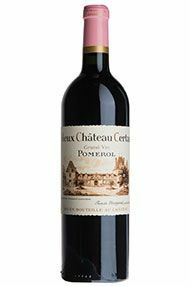 Richly-perfumed, charming and delicious, Vieux Château Certan has been a favourite of mine in previous years and the 2014 is really tasty. Alexandre Thienpont told us that September and October saved the vintage, and we are all thankful for that. Strong acidity provides freshness, complexity and generosity. It is really seamless, gloriously sweet and focused on purity. There is not much weight or power here, but everything is carefully integrated. Clean and precise, it offers excellent length on the finish too. This is quite simply delicious. The intelligent, fascinating and hugely talented Alexandre Thienpont has made a wine that perfectly reflects his personality in 2005. This is the Grand Cru Burgundy of Bordeaux. It is simply in a different class, even in such an exalted vintage as 2005. The nose is heavenly: very Merlot with orange hints to the fragrant aromatic red fruit. The palate then takes you to another dimension with its incredibly pure, silky, intense raspberry fruit supported by firm but very fine tannins. Roll out the red carpet for this one. Vieux Ch. 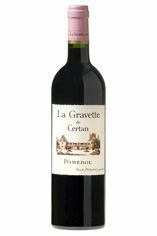 Certan, Pomerol displays deep black-red, cherry-red at the rim followed by a bright berry fruit nose; succulence on the palate, lovely weight, depth and texture. Good density. Tannins are plentiful but ripe with a long finish. A real sense of minerality to the wine, clearly from a noble terroir. I will confess to a certan bias as I am a huge fan of Vieux Ch. Certan ever since drinking my first glass of the 1998. The second wine Gravette was first introduced in 1986. The 2009 Gravette is delicious now, with layer upon layer of gorgeously rich fruit, raspberries, coffee and a touch of lingering truffles on the finish. How can anyone resist this beauty? Alexandre Thienpont’s overriding aim in 2008 was to save the fruit without falling into the trap of overextraction. He certainly succeeded and has, yet again, made a fabulously elegant wine, almost Burgundian in style and finesse. 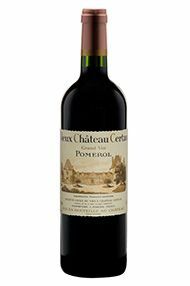 Alexandre ‘played the Merlot card’ (70%) in 2008 but the 20% Cabernet Sauvignon is also very present, adding dark fruit and structure. Cabernet Franc was the hardest variety to ripen but, at 10%, the relatively small amount (for VCC) imbues the wine with a lovely perfume and sophistication. This is pure, focused and graceful: a wonderful success. What a nose. Supple and elegant with extraordinary perfume, plum, violets and raspberry fruit come through with wonderful floral lift. The palate is liquid velvet. A sweet, sappy front, followed by a focused darker core of plump, rounded fruit. There is a cashmere like texture that builds up in waves and the freshness of the vintage again works perfectly with the clean precise finish that just stays with you for minutes. I am not sure that there is a better wine in 2011. Alexandre Thienpont surprised us all this year: at one point he was contemplating not making any 'Grand Vin' at all, and then he made one of the undoubted stars of the vintage. Furthermore, he achieved this with a cepage made up of mainly Merlot - extraordinary in this vintage, and especially extraordinary from this vineyard, which used to be an island of Cabernet Franc in the middle of the Pomerol sea of Merlot. The only downside is that he has had to sacrifice most of his crop, and has therefore produced tiny quantities. They are bound to be snapped up. Vieux Château Certan is always gorgeous to taste when in barrel and 2012 is no exception. There is surprising density here and, oh boy, I just love the gorgeous lift, freshness and floral notes that combine with the blueberry and redcurrant fruit. This is a nose that you just want keep on going back to. The palate is not lacking in weight either, with layers of plump red fruit. The tannins are super-fine and, along with the acidity, hold everything perfectly in place. There is an overriding freshness and purity to this wine that belies the serious intensity here. 2012 continues VCC’s legendary role of vintages. I doff my chapeau to Alexandre Thienpont. The modest, but enormously talented Alexandre Thienpont has produced a sublime 2006 VCC (as it is known) with a finesse and silkiness rarely found outside top Grand Cru Red Burgundy. As usual, this is no blockbuster but has a piercing intensity, alongside great balance and harmony. Its attractive, pure, perfumed nose is followed by round, but very fine, crisp, sweet, crushed raspberry fruit, silky tannins and a lovely lively creaminess. Only 3000 cases of this wine have been made so we suggest you get your hands on one toute de suite before they sell out. A magnificent Pomerol. 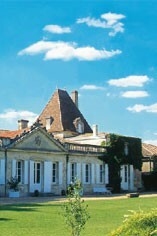 Alexandre Thienpont has made another spectacular Vieux Château Certan in 2016. This has a deep, ruby hue with a nose of black fruit and cherries. The palate is extremely voluptuous with a succulent texture, silky tannins and a long finish. The high percentage of Merlot adds notes of chocolate, liquorice and tar.